3. Can you explain your beef with Abi-Maria? Peih-Gee: "It was all extremely high school and I feel really sorry that I have to get caught up in it. From what I heard from other members, she kind of came in already disliking me for some reason, like a high-school girl. But, then the whole bracelet thing happened. That was purely an accident. So, you know, there were a bunch of empty bags on the beach and everyone said, 'Just grab one and put your name tag on it and that’ll be yours, and I took what I thought was an empty bag and it turns out, it had her bracelet inside it. I really had no idea. She went around behind my back telling everyone I was a thief and stole her bracelet, and that’s really not cool. Luckily, no one believed her. That sort of set a bad precedent and then she sort of never trusted me after, even though I constantly tried to be nice to her. It’s kind of like a cop; you see them on the street when you’re driving, and you always feel a little guilty even though you didn’t do anything. 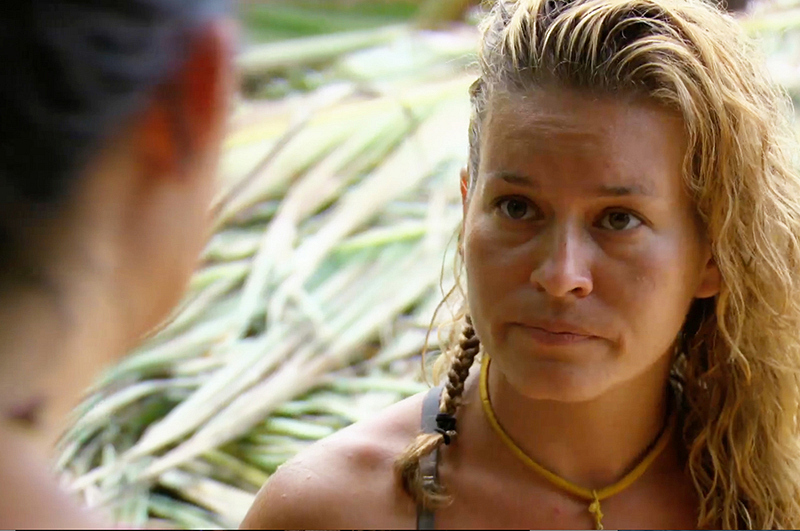 It was almost worth getting voted out just so I didn’t have to be around her anymore."